Grande Prairie has been home to me since 2002 after moving from southern Alberta. My beautiful wife Billie Jean and I enjoy the adventures that came with having three amazing kids – Greyson, Sephira and Zariah. I have a passion for hunting and camping as well as volunteering for the Wapiti Shooters Club. I am proud to be a Journeyman Carpenter and have been fortunate to exercise my skills through renovation work as well as working on Custom Home builds. 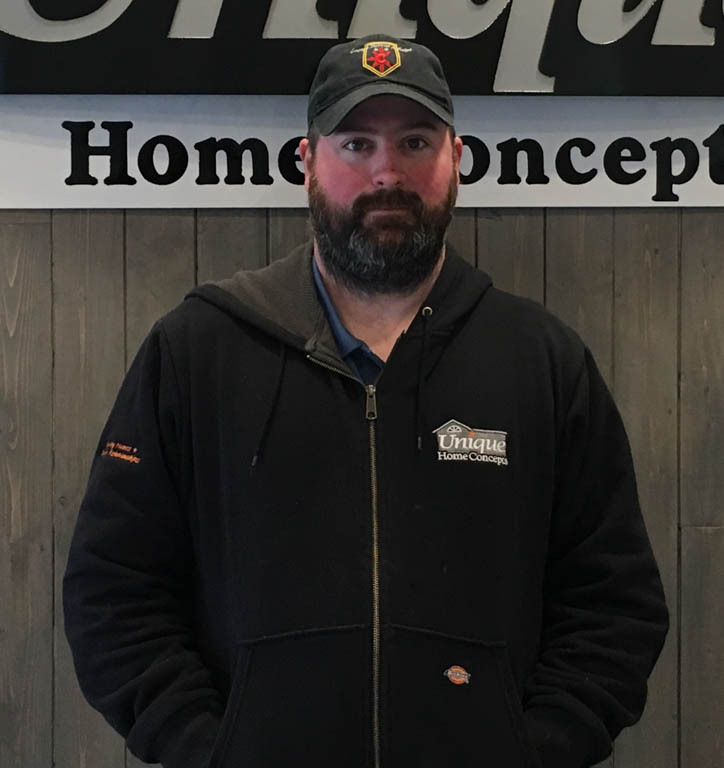 I joined the Unique Home Concepts team in January of 2018 and have taken on the role of Site Manager as well as taking a role in our Safety Program. I enjoy working alongside the team at Unique Home Concepts and appreciate that they offer a positive atmosphere and a genuine dedication to building a quality home.